ELK BRAND Cone Selvedge Denim Chore Coat made by The Elk Brand Shirt and Overall Company, which was established in Hopkinsville, Kentucky in 1907. 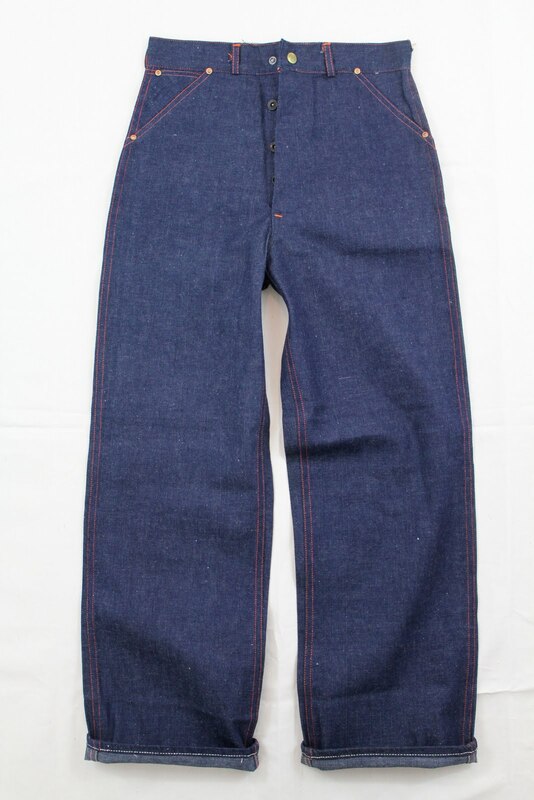 ELK BRAND Made of CONE DEEPTONE DENIM SANFORIZED SHRUNK label. Brass buttons with green enamel inlay. Interior chest pocket with exposed selvedge edge. 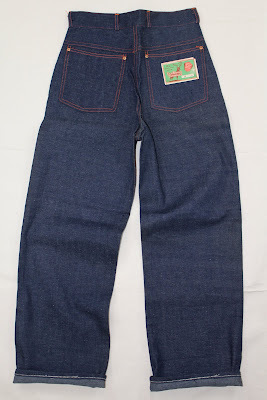 ELK BRAND button front dungarees 8 oz. sanforized denim. UFO style copper rivets on front and back pockets. Donut button front with ELK BRAND engraved snap button closure. Deadstock condition with sewn on pocket flasher.